The R-101 has been discontinued. We will continue to service all R-101’s and honor their lifetime warrantees. 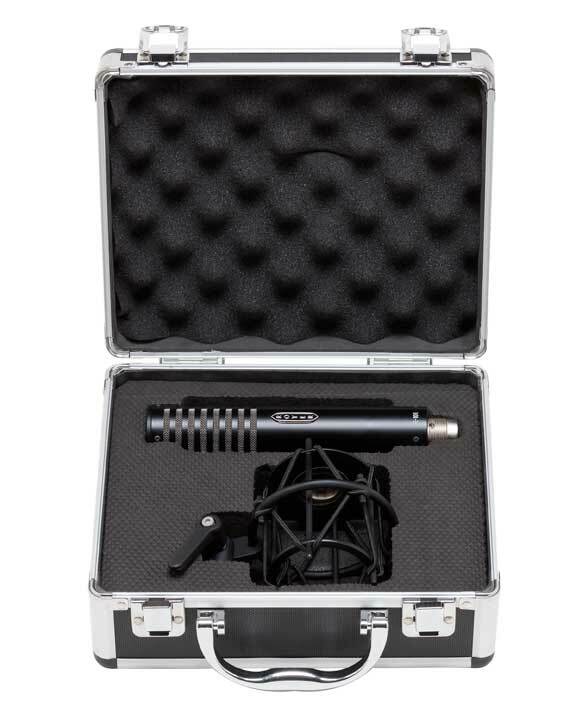 Our new R-10 ribbon microphone utilizes the groundbreaking technology introduced in the R-101 (including the shock mounted ribbon transducer and 3-layer wind screen system), but at a significantly lower price and in a more compact and flexible package. 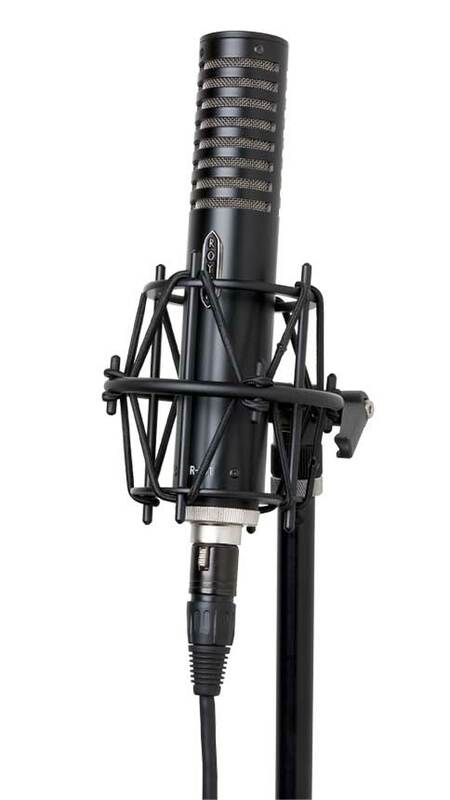 Please visit the R-10’s webpage and get to know our latest ribbon microphone, which replaces the R-101. The R-101 is a new breed of modern ribbon microphone, designed for studio work and demanding live applications (particularly live electric guitar and brass). It incorporates many features pioneered by Royer Labs, including an advanced multi-layered wind screen for superior protection from air blasts and plosives, our patented offset-ribbon transducer, an internally shock mounted ribbon transducer system which provides greater isolation from shocks and vibrations, and reduced proximity effect for closer miking with less bass buildup. Throw it on a guitar cabinet, hit record, play it back, smile. The ribbon element’s smooth frequency response and phase linearity impart a warm, analog feel to digital recordings, where the depth and realism on playback feels more like tape rolling than digits being computed. A perfect choice for electric guitars, brass instruments and drums, the R-101’s figure-8 pattern also conveys superb ambience and depth when used for room miking applications. The R-101 incorporates Royer’s patented offset-ribbon technology and a low mass, 2.5-micron aluminum (99.9% pure) ribbon element. The ribbon transducer’s flux-frame and rare earth Neodymium magnets create a powerful magnetic field which increases sensitivity while reducing stray magnetic radiation. The R-101’s offset-ribbon transducer (Patent # 6,434,252) positions the ribbon element towards the front (logo) side of the microphone body. This proprietary arrangement gives the ribbon element more room to move within the prime magnetic field and maintain full frequency response during high SPL recordings. It’s an integral part of the magic in all Royer R-series microphones. The offset-ribbon transducer also gives you the option of a brighter response when recording lower SPL sound sources on the back side (3 feet and closer; phase reversed in this position). The back side of the mic is often preferred on vocals, acoustic guitars and other stringed instruments. 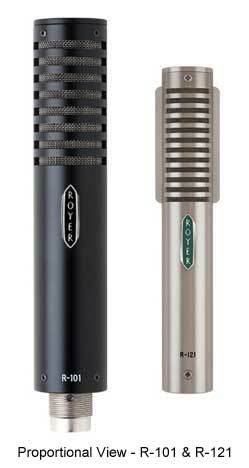 Like all Royer mics, the R-101 comes with a lifetime warranty to the original owner and the first re-ribbon is free. Gearwire - Royer R-101 Ribbon Microphone Review By Matt Boudreau: How Does This Less-Expensive Royer Compare To High-End Ribbon Mics? Recording - Review - Royer LAbs R-101 Ribbon Microphone by Paul Vnuk Jr.